In November of 1992, Gurthy Moore received a worried call from her daughter Barbara. 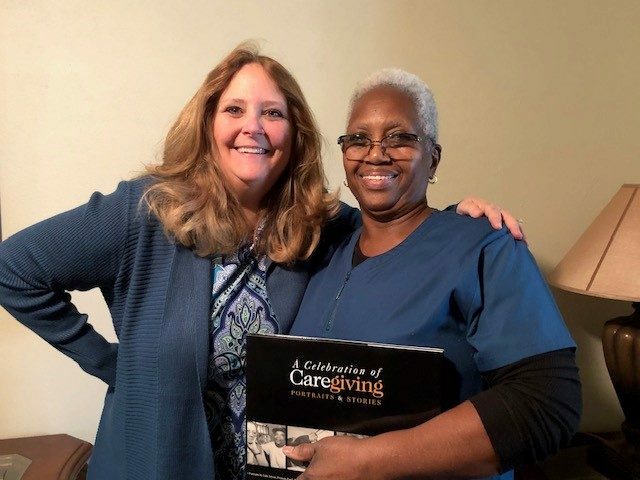 Barbara had just begun a job a caregiver to Nikita, a wonderful woman who had become ¾ paralyzed in a tragic car accident. Barbara had been in a car accident herself and needed a couple weeks off, and she hoped her mother would help fill in. 26 years later, Gurthy continues to work 6am-2pm Monday – Friday helping Nakita with a variety of daily living tasks. Each morning, Gurthy arrives and helps Nikita to take a bath, get dressed, and get her breakfast. Throughout the day they talk and joke and have become forever friends. Occasionally, Gurthy will make a special meal for Nikita, whose favorites are tuna casserole and tetrazzini. As one of Helping Restore Ability’s longest-serving employees, Gurthy is an inspiration to so many. As a young girl, she always dreamed of serving others and wanted to be a nurse. She worked in the custodial department of several medical facilities before retiring. When she received the call to help out her daughter, Gurthy felt that this may have been the answer to her dreams. 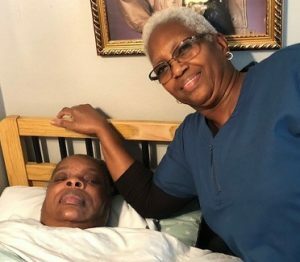 In-home attendant care allows Gurthy to care for Nakita, learn many minor medical procedures, and ultimately provide for herself and her 4 children.